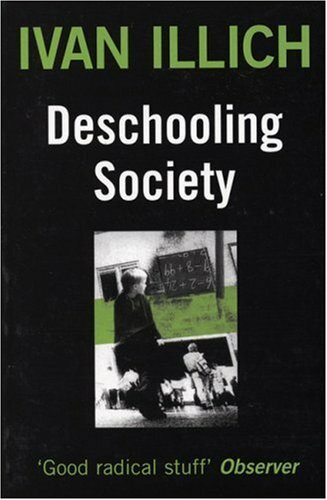 Publisher: Marion Boyars Publishers, Ltd.
during the early 1970s---Deschooling Society (1971), Tools for Conviviality (1973), Energy and Equity (1974), and Medical Nemesis (1976). Tools is the most general statement of Illich's principles; the other three expand on examples sketched in Today in order to critique what he calls "radical monopolies" in the technologies of education, energy consumption, and medical treatment. This critique applies equally to both the so-called developed and the developing nations but in different ways. Two subsequent collections of occasional pieces---Toward a History of Needs (1978) and Shadow Work (1981)---stress the distorting influence on society and culture of the economics of scarcity, or the presumption that economies function to remedy scarcities rather than to share goods. Toward a History of Needs also initiates a project in the history or archaeology of ideas that takes its first full-bodied shape in Gender (1982), an attempt to recover social experiences of female-male complementarity that have been obscured by the modern economic regime. H2O and the Waters of Forgetfulness (1985) extends this project into a history of "stuff." ABC:The Alphabetization of the Popular Mind (1988) carries Illich's project forward into the area of literacy, as does his most recent book, In the Vineyard of the Text (1993). In the Mirror of the Past (1992) is a collection of occasional essays and talks from the 1980s, linking his concerns with economics, education, history, and the new ideological meaning of life. Illich himself is a polymath who speaks at least six languages fluently and who writes regularly in three of these (English, Spanish, and German); his books have been translated into more than 15 other languages.